A valuable glass jar clean and essential design to match fragrances Crespi Milano. 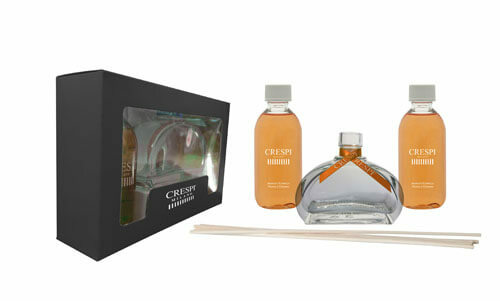 Charging for environmental fragrance from 150 ml is perfect to be poured inside the glass jar Crespi Milano. To be inserted in the vase once filled. For an optimal diffusion of the perfume, flip the reed sticks every 2-3 days.